Are you a single woman over 40? Do you dream of a long-term, loving relationship with a quality man? Has the idea of dating again been giving you nightmares? If your answer is yes to all these questions, then this audiobook is for you. 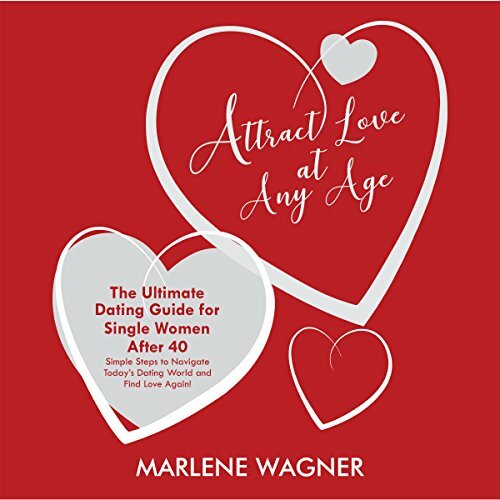 In Attract Love at Any Age, life coach Marlene Wagner will ease you back into today's dating world by giving you the power, the tools, and the education required for selecting the right partner. This is the dating manual you were never given as a young girl. It will help you decide what kind of a man you're looking for, build back your confidence, provide you with tips and tricks for mid-life dating success, and best of all, it'll help you avoid making the mistakes you've made in the past. You'll learn: How to get the man and the relationship you want How to build your self-confidence How to ensure your mid-life dating success Where to find quality single men What relationship mistakes you don't want to repeat What to do on the first date Why some second dates never happen When to switch from feminine to masculine energy How to be the woman men can't resist How to recognize red flags "I want to leave you with the knowledge of how to be effective at dating and choosing a partner in a way we've never been taught. Enjoy your dating journey. Make it fun and keep it light. Remember, most men are good men, they're just not good at dating - so give them a chance, and you just might find the man of your dreams.